Maybe I’m late to the game, but lately all I’ve been hearing about is how AMAZING the Instant Pot is. So what did I do? I went out and bought an Instant Pot! Sure…my Instant Pot came with some recipes but I wanted to hear from some real food bloggers, real FOODIES, on the BEST recipes they’ve made in their Instant Pot. The Instant Pot is a 7-in-1 multi-function cooker combining the benefits of a pressure cooker, saute, slow cooker, rice cooker, steamer, yogurt maker, and food warmer. 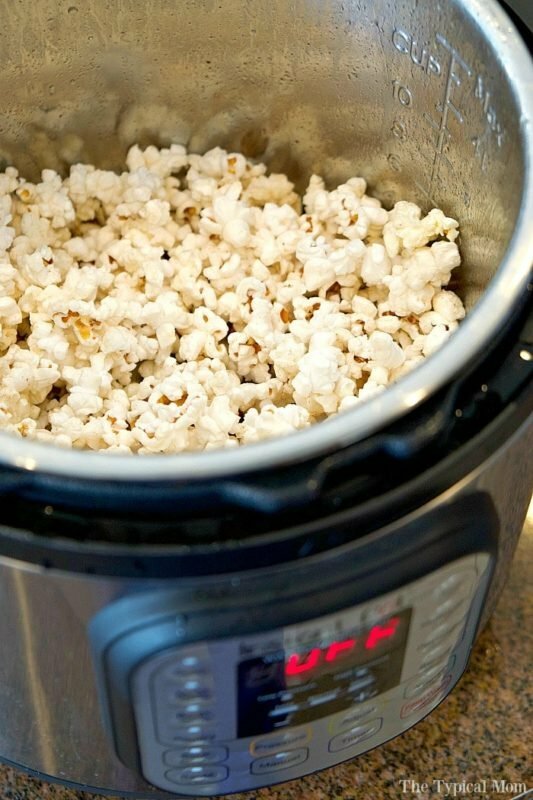 It seriously speeds up your cooking by 6 times and uses a lot less energy than you oven or stovetop. I made My 9 year old daughter made homemade (from scratch) beef stew in 45 minutes with only 6 ingredients on a school night thanks to the Instant Pot. It was FULL of wonderful beefy flavor. My 7 year old who hates all things food right now loved this recipe. Seriously, it’s an amazing recipe, super fast to make, full of flavor and my entire family loved it. Check this one out from Pinch of Yum. 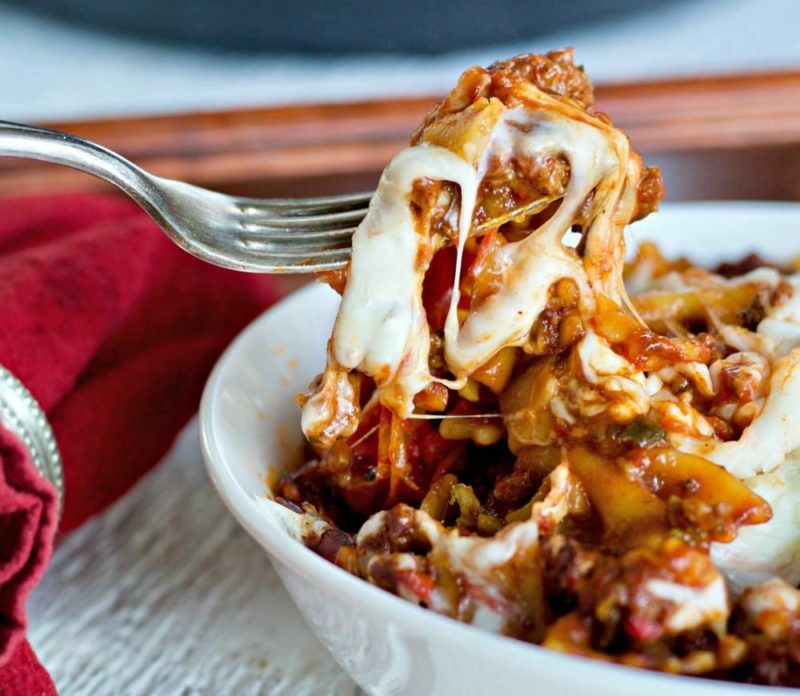 This Instant Pot recipe was evolved from a Beef Noodle Skillet dinner and you know how most skillet pasta dinners require a lot of monitoring, right? Well, not in the Instant Pot. This recipe is FULL of flavor and the taste reminds me of a lasagna dish you would order at an authentic Italian restaurant. This one can be made gluten free if you use gluten free pasta. Go check this one out from Homemade Food Junkie. She has a TON of Instant Pot recipes on her site! I love this recipe because it’s crazy healthy and it has a fabulous taste! 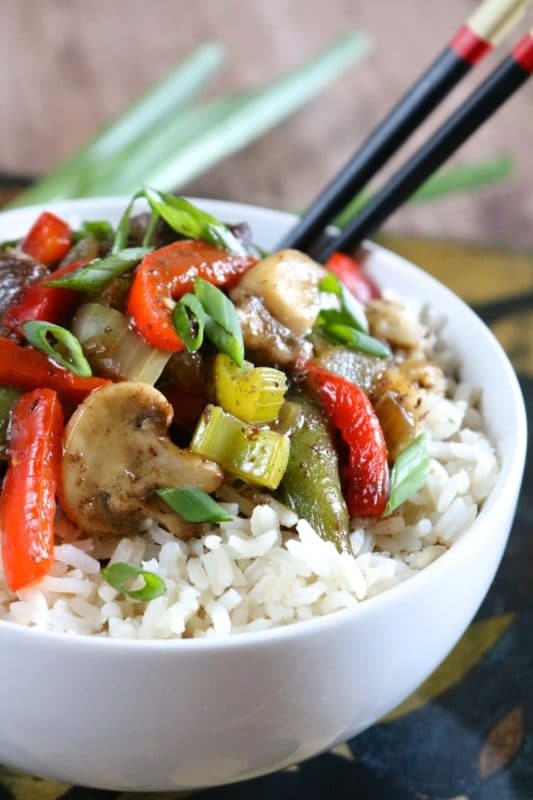 Meagan tells us in her post that this chop suey recipe is a spin-off of her mom’s recipe which was a spin-off of her grandma’s recipe which was a spin off of a 1950’s Betty Crocker recipe. Ok…that just sold me. A spin off of mom and grandma’s recipe? You KNOW this one is good based on how she described it! Plus, it looks like it tastes amazing! And…gluten free! Go check this one out on Eat Something Delicious. So you’re telling me I can make Chocolate Lava Cake in my Instant Pot? Ok these are AMAZING! They do indeed have a chocolatey gooey center and I’m so in love with these little Lava Cakes! Only 35 minutes to make these! Go check out the step-by-step instructions from Paint the Kitchen Red. 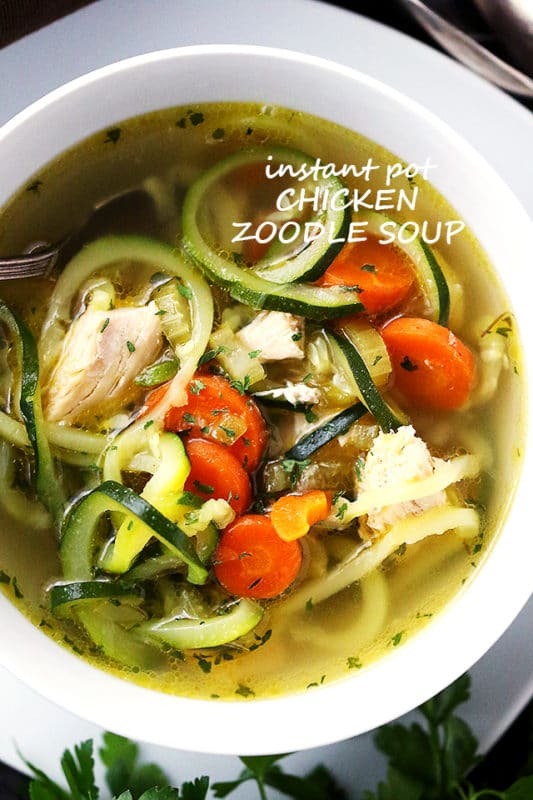 If you love Chicken Noodle soup then you are going to love this Chicken Zoodle Soup!! This soup is so healthy guys and low in calories, fat, carbs but high in protein! This is my DREAM soup and the taste is out of this world. One of the secrets to this recipe is Katerina used STAR Olive Oil with Fresh Rosemary. That rosemary REALLY gives this soup an amazing taste! Check this recipe out over at Diethood. So apparently you can make cheesecake in your Instant Pot! As if I didn’t already love my Instant Pot enough! 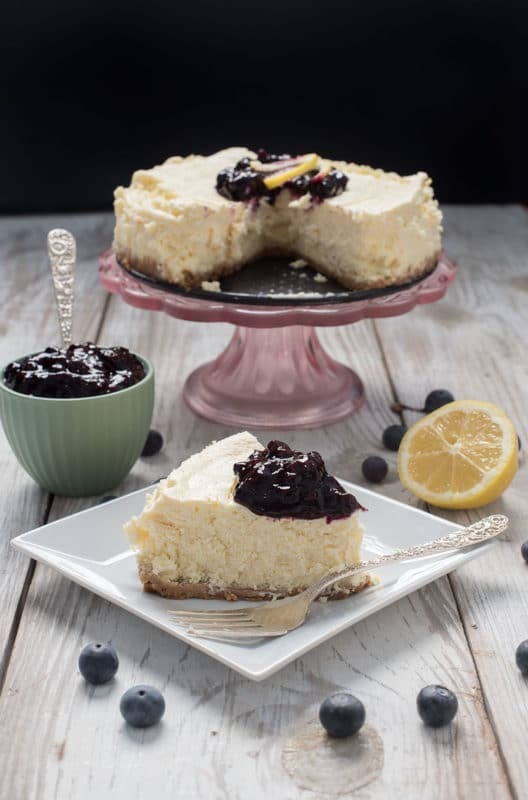 This cheesecake recipe is made with a graham cracker crust and topped with homemade blueberry sauce. Ridiculously yummy! Check this one out from My Wife Can Cook. Yeah for popcorn! Who doesn’t love popcorn! This tastes so great and is ready in 8 minutes. YES! 8 minutes!! 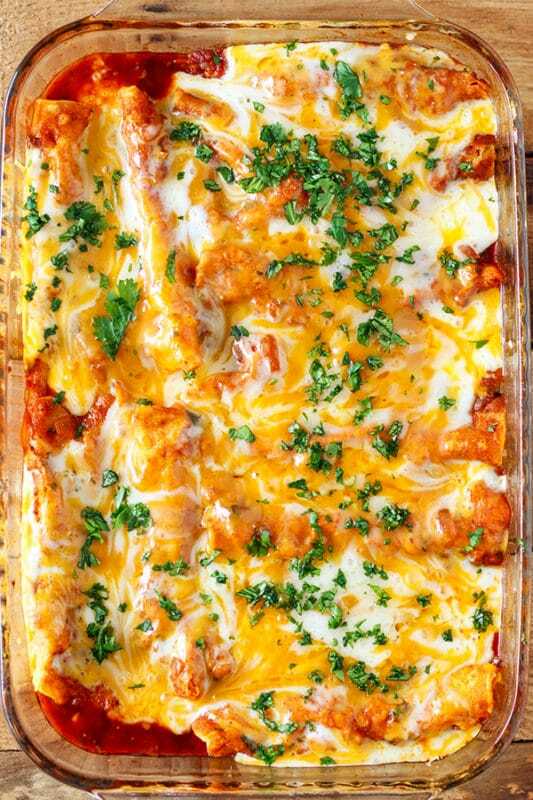 Check out this yummy recipe here at The Typical Mom. 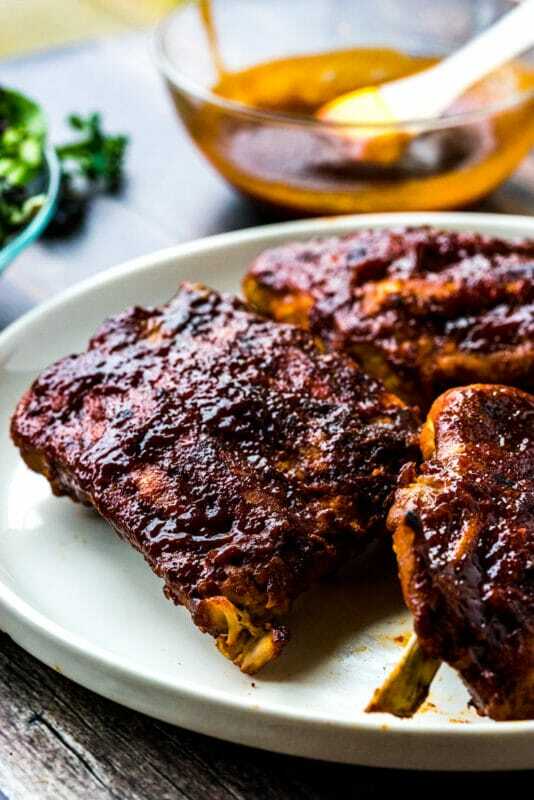 These BBQ ribs made in the Instant Pot fall off the bone and taste like they have been slow cooking for hours! Cook time is 25 minutes. It just doesn’t get much easier than that! Check out this ridiculously delish recipe from Heather Likes Food. Who would have thought you could make French Toast in an Instant Pot and it would turn out really really good? Yeah, not me. But I was wrong. Let me go on the record to say I WAS WRONG! This one takes 40 minutes to make from prep time to the table. Full of flavor and the consistency is fantastic! You guys are in for a treat with this one! Check it out from Living Locurto. The chicken and the sauce for this recipe is made in the Instant Pot. There is a saute feature on your Instant Pot and you are going to use it on this dish! 40 minutes start-to-finish and this beautiful dish is on your table and ready to serve! This one is gluten free! Check this one out from No. 2 Pencil. 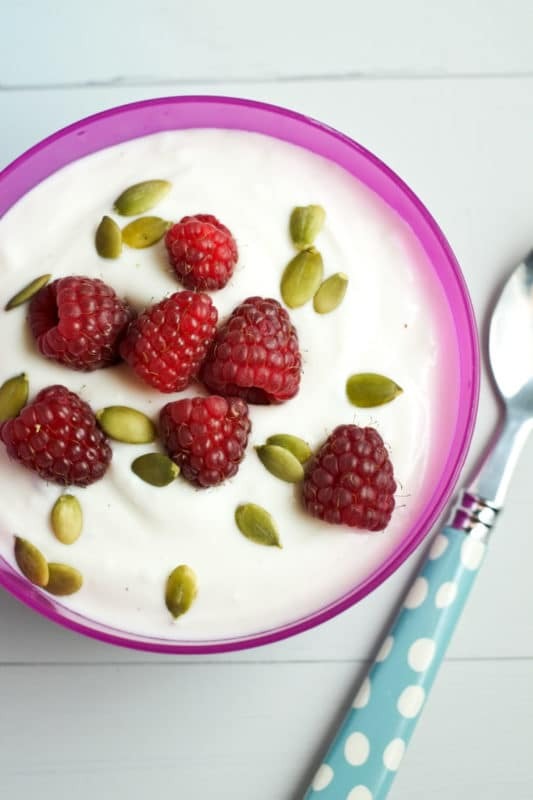 Yes, you can make REALLY good yogurt in your Instant Pot! This recipe is easy, fun and pretty! Only 2 ingredients and you top it off with your favorite toppings! Check this one out from Super Healthy Kids. 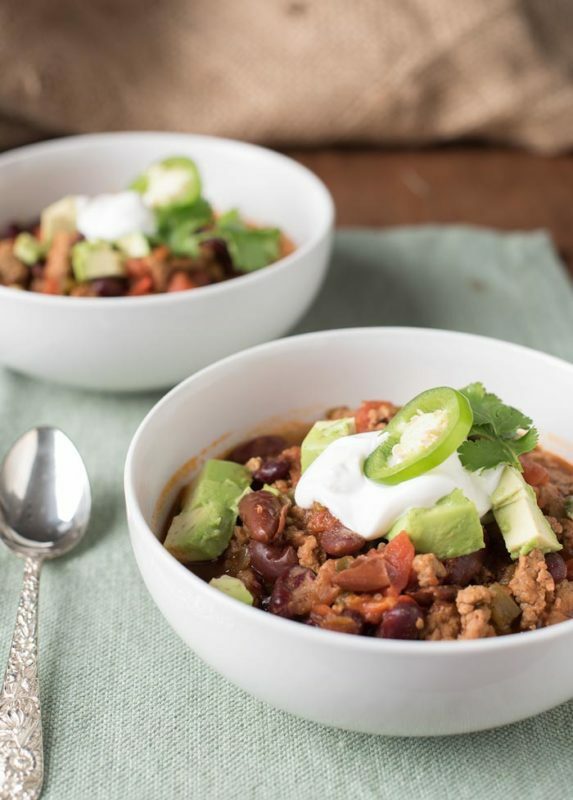 This chili recipe is a family favorite that has been converted to be made in the Instant Pot! Melissa and Greg provide some great tips on what settings to use for this chili in the Instant Pot. This one is gluten free! Check it out here on My Wife Can Cook. I love a good chowder and this one is SO fantastic! And it takes 5 minutes to cook….only 5 minutes!! Ya’ll it doesn’t get much better and easier than this! 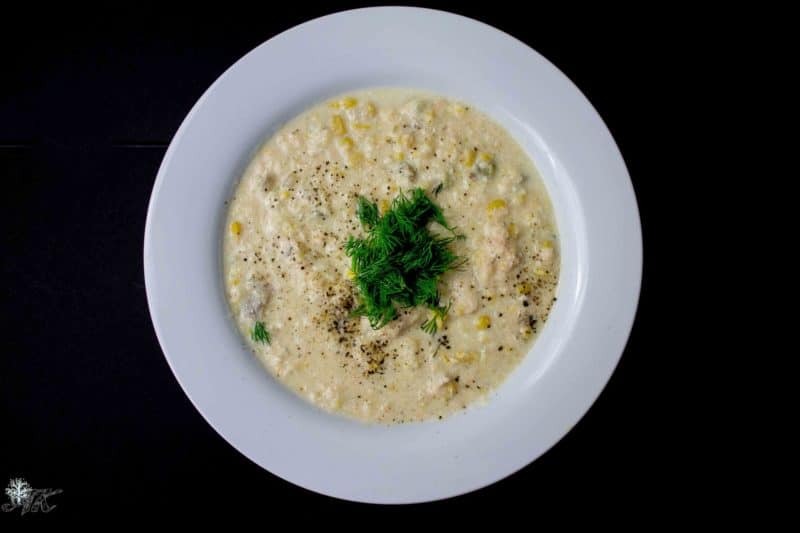 Check this fabulous chowder out from Almost Kosher. What a yummy breakfast this one is! 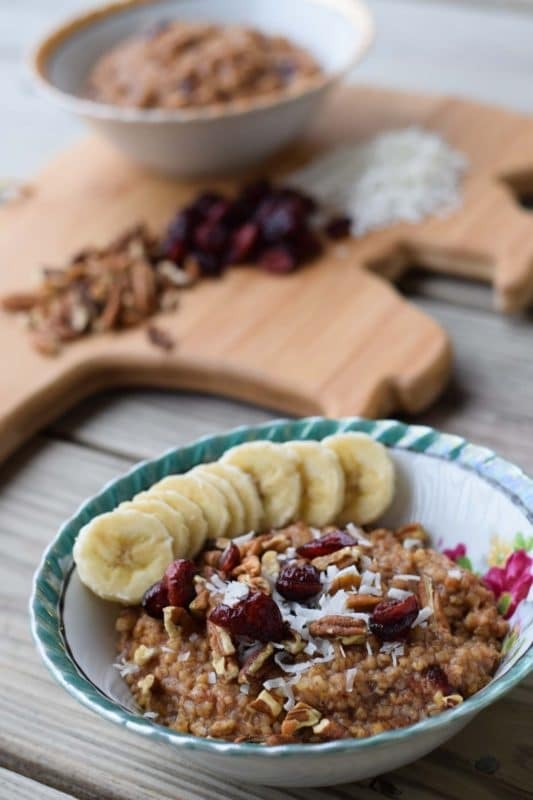 My husband and I love steel-cut oats…I mean LOVE! 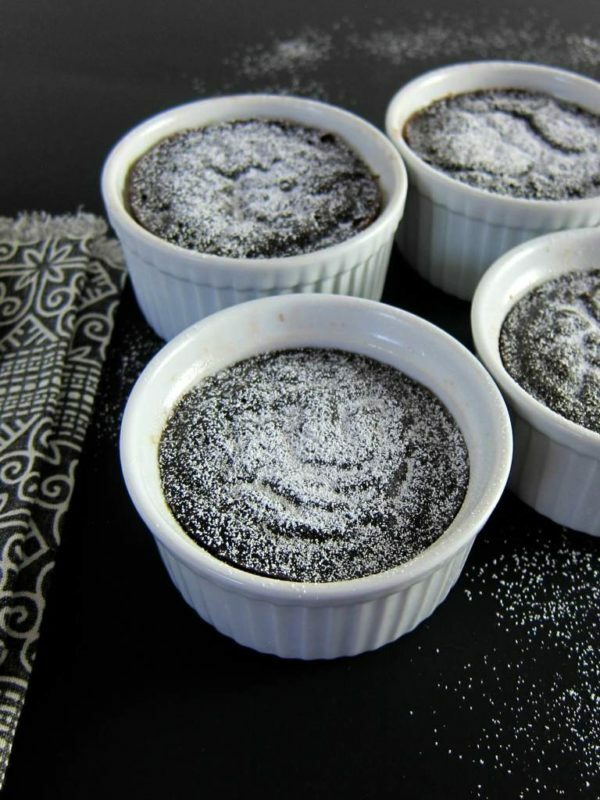 This recipe is fantastic because it uses ground nutmeg and cinnamon with vanilla extract. 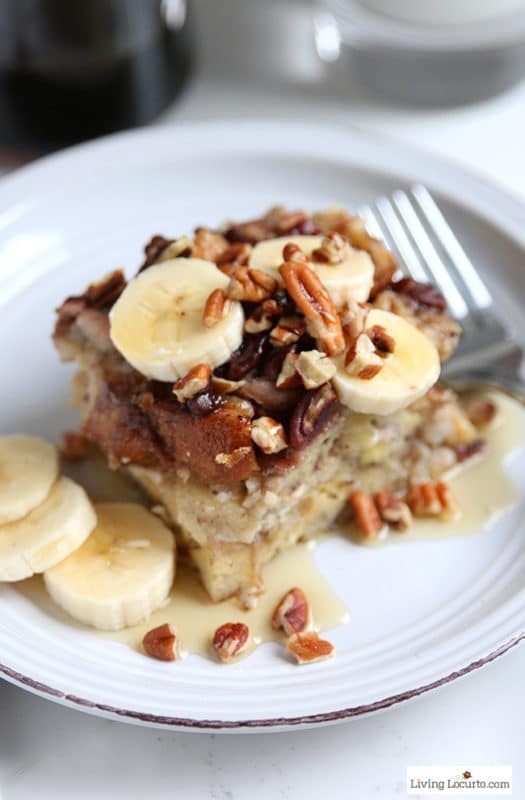 Top this fabulous dish off with coconut flakes, fresh pecans, dried cranberries and sliced bananas! What a healthy breakfast! Check this one out from Muscle and Manna. And there you have it! Guys, this is your ‘set it and forget it’ machine. If you haven’t bought an Instant Pot yet, you’re missing out! Go order one now! I got mine here: Instant Pot! Oh…and if you are looking for more Instant Pot recipes, you have to check out my Instant Pot Mexican Rice, Instant Pot Garlic Chicken with White Wine & Dijon Mustard Cream Sauce and these 5 Instant Pot Dinners! Make sure to pin this one on PINTEREST under your favorite INSTANT POT or PRESSURE COOKER board! If only you could find 14 possible places to store it in my teensy kitchen haha! They look so cool though- everyone I know who has an Instapot is obsessed with it! That is the one thing about the Instant Pot that is a downer…It is large and I bought the really big one!! It’s so worth it though!! I hope you can find a spot for it!! SOOOO versatile! It’s just been so great to have it! So convenient!! Yep, totally convinced, ha! Seriously… I WILL get one soon! Thanks! Ha Ha! Glad you are now convinced! Seriously, you will love it! I have the Farberware 7in1 pot and it does just as well as the Instant pot as do several other available brands as the GoWise, Power Pro and even one featured at Aldi. They are all basically the same and mine has a two year warranty as opposed to the Instant pot ‘s one year. Of course one can select whatever model they choose but just wanted to say that Instant Pot is not the only brand available. Good point! I’ve heard from multiple people that they love their “pressure cooker”! I bout the 6 qt pressure cooker, but since I only cook for me, I gave it to my daughter and bought the 2 qt one. Still have not used it because there aren’t any 2 qt recipes out there, and I am kinda clueless. Can you help? 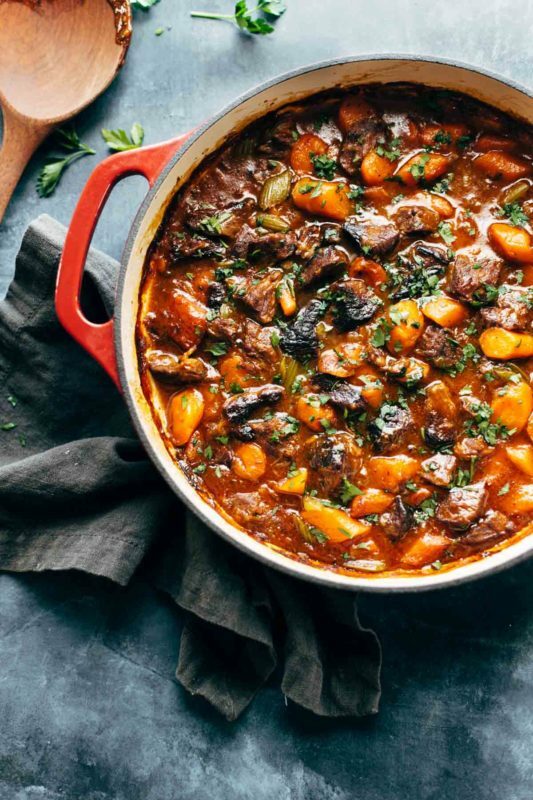 You should still be able to make most, if not all, of these recipes using the 2 quart Instant Pot. Take a look at the recipe specifics to see what size they use…but you should be good to go with the 2 quart! I think your page is great – but it would be very helpful if the links to the different recipes were the direct links to the meal and not just to the main page, making one search around for the specific recipe for ages…. Looking forward to trying out my IP with some of your delicious sounding – and looking – meals..
Hi Vic! Thanks for the note! If you click on the URL for each numbered recipe, it takes you directly to that recipe! I only link to the main page of the blog when I list who the recipe owner is. Try clicking on the link right beside the number…it should take you directly to the recipe! Let me know if you find one that doesn’t behave that way! This round up may finally get me to bite the bullet and finally use my Instant Pot. That’s Beefy Italian Pasta looks so good! You wont regret using it! It’s so super userful! I’m contemplating one of these…..the possibilities are endless! You have no idea!! I’ve used my Instant Pot for SO many things!!! You will love it! 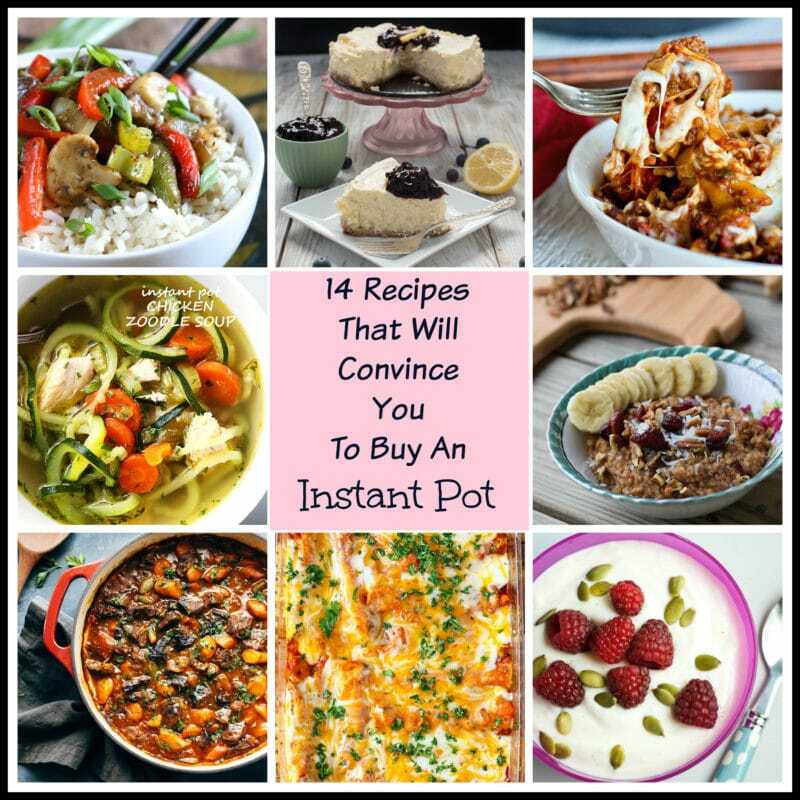 What a great collection of recipes for the Instant Pot! Thanks so much for sharing with us at our Thanksgiving Edition of Full Plate Thursday! Hope you have a great week and come back soon! Thanks Miz Helen! I’m so glad you and your readers enjoyed the roundup!! It’s one of the best kitchen purchases I’ve ever made! That and my KitchenAid….I love these 2 appliances! I am contemplating getting this. I have a Pressure Canner, so have a good idea how the pressure works and not afraid to use it. The only thing holding me back is that the Recipees are for 6-8 servings….. Could I use the recipe in a smaller pot and cut recipee down to serve 2-3 servings. What about how long to cook. I don’t regret buying my Instant Pot. I love it and I use it all the time. If you cut the recipes down for a smaller serving size…that’s fine! Cooking time thought should stay the same! !